Been involved with website development since 2004. You DON’T need to be an expert at copywriting or SEO to increase your website traffic. I’ll walk you through the whole process in a moment, but first – Why is getting traffic so dang hard? The problem: Most likely, you’re focusing on the wrong metrics and reading the wrong content. Here is what’s lacking: a proven system. One that you can implement in your website right now, and see your website traffic skyrocket in a matter of weeks (or even less). When you have the right system, it’s really not that difficult to increase website traffic. At that point, it’s just about following the right steps and BOOM – before you know it, you’ll see an exponential growth in your traffic numbers. What system am I referring to? It’s the same system that I (and many others) have already used to increase website traffic. Social media is only one part of the puzzle. You must also get your content in front of new audiences. You’ll discover how to do this (even if you don’t have hours of extra time to write guest posts after guest posts). Over-reliance on search engines or social media for traffic can backfire. Sites lose entire search rankings, and consequently traffic, overnight. Social media algorithms change, too. With the right system, however, you are in control of your traffic and can command it at will. This section teaches you how to get recurring traffic at will. How does all of this sound? Let’s jump in and get started with the system! Before you start growing your website traffic, you need to know your current traffic stats. This is your baseline. From here, you can see how your efforts are affecting your traffic growth. Make sure you have your Google Analytics tracking code set up (if you don’t have it set up yet, do it now!). Once you have at least a few days of traffic under your belt, check your website traffic report on Google Analytics. Well, it’s true! You’ll be testing new traffic strategies, and you need to know how they’re performing. Therefore check your website traffic often – at least a few times a week. This way, you’ll know what’s working, and what’s not, and you can double down on the good stuff to maximize your traffic growth. Here’s where many businesses fall off the tracks. They either don’t have a content marketing strategy or if they do, it’s seriously off the mark. You can try all the SEO hacks, but without a solid content marketing strategy, you’ll be wasting your time. 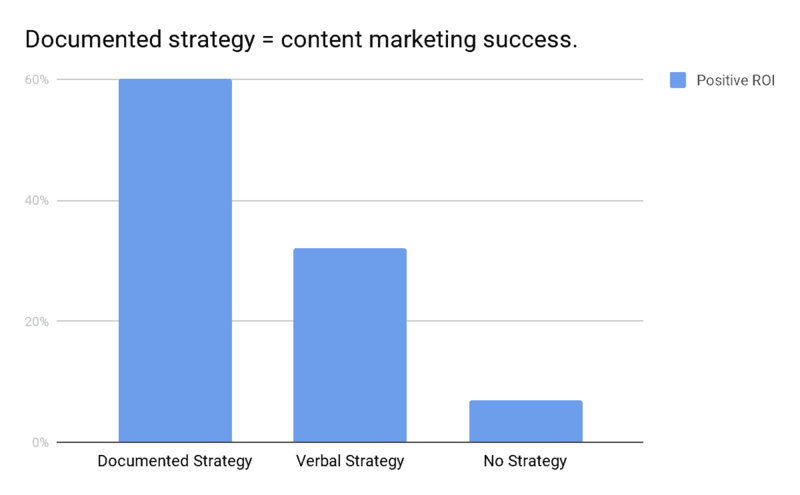 60% of businesses with a documented content marketing strategy will get results from content marketing, 32% of business with a verbal (but not documented) content marketing strategy will get results, and just a measly 7% of businesses without a content marketing strategy will succeed. Not only do you need a solid content marketing strategy, but your content marketing strategy needs to be documented. 1) The primary goal of your content (i.e. Increase traffic, generate leads, etc.). 2) Your audience, defined (i.e. Who are they? What are their biggest pain points? How can you help them through your content?). 3) How do you plan to add value and set your content apart from the competition? 4) The frequency of posts. 5) Content amplification (i.e. How will you get your content in front of more eyeballs?). A compelling headline is what sells the content. If you want your content to be read – and also to rank in search engines – then great headlines are key! There are two things you must optimize for with your headlines: Social traffic and search traffic. To do so, your headlines should have the right keywords, the right length, and also be compelling enough for social media users to click on them. You can easily see that “how to make money,” “how to make money online,” “how to make money fast,” “make money online,” and “earn money online” get the highest average monthly searches. More importantly – you can see the competition for each of these keywords. While “how to make money” and “how to make money fast” have medium competition, the other three keywords have high competition. When using Google Keyword Planner, you want to pay special attention to both the average monthly searches a keyword gets as well as its competition. When you can, you should focus on less competitive keywords that get a lot of searches. A great content marketing strategy with catchy headlines won’t matter if you don’t have compelling content. Any reader who comes to your site will just bounce out immediately – and that will make an ugly traffic report. How do you write more compelling content? Hack #2: Use shorter paragraphs. Avoid long paragraphs and huge blocks of text. The more scannable your content, the better. Try to keep paragraphs under 5-6 lines (ideally 2-3). Hack #3: Read your writing aloud when editing. What looks good on paper doesn’t always sound good. By reading your content aloud, you can discover clunky phrases and any errors will jump out to you. Hack #4: Tell more stories. Stories connect with us emotionally and drive us to take action. Add stories into your content to prove arguments, hook readers in, explain a problem, and for whatever else you can think of. Stories are gold! Hack #5: Use “Bucket Brigades”: Bucket Brigades are short sentences (words or phrases) aimed at getting people to stop, pay attention, and continue to the next line of text. The term was coined and popularized by Brian Dean of Backlinko. It usually stands alone and ends with a colon and directs users to another paragraph continuing the article. Is a picture really worth a thousand words? We think so! Eye-catching photos can do wonders for your traffic. They can make your blog more visually appealing so readers stay on your site longer. Pictures also make your content more shareable on social media. In a study by Socialbakers, researchers found that images on Facebook constituted 93% of the most engaging posts, compared with all other status updates. Another study found that visual content is 40 times more likely to be shared on social networks than other content types. When you combine your title with a strong image, you give it the best opportunity to generate traffic and clicks. You don’t have to spend hundreds of dollars paying for stock photos. You can use free stock photo sites like Unsplash or Pixabay to find hundreds of eye-catching images (without having to spend a dime!). Internal linking refers to adding links from one page on your website to another page on your website. This can mean you’re adding links from one blog post to older posts, or from certain pages to other pages. Most websites don’t use internal linking nearly enough. Sure, you shouldn’t overdo it with 40-50 internal links in each blog post – but there is a happy medium. Why bother with internal linking? These types of links are useful because they help your readers navigate your website, help improve the search rank of the pages you link to and help define the architecture and hierarchy of your website. Create more content. The more quality content you create, the more quality content you can link to. It’s really that simple! Link to relevant content. Don’t link for the sake of linking – always link to content that will add to your readers’ experience. Don’t overdo it. Anywhere from 5-10 internal links can be used in a 1,000-word blog post. Any more than that and you’ll overdo it. What if you could delete a third of your content and yet triple your website traffic? Well, that’s exactly what Todd Tresidder did. He conducted a content audit, deleted a third of his content and saw a massive increase in traffic. You see, when you’ve had a website for several years, you can start running into problems like redundant and irrelevant content that no longer matches up with your message. 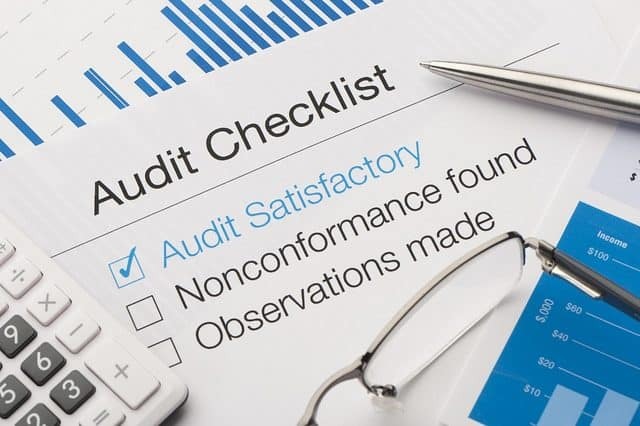 By conducting a content audit, you can solve these problems. A content audit can also improve your SEO ranking. Think about it: Quality is the new SEO. Google wants the best quality experience for their users. By conducting a content audit, you signal that you’re trying to deliver the highest quality experience. How do you conduct a content audit? Step #1: Edit and improve the content in the “Keep” and “Improve” categories. Consider creating lead magnets for higher traffic articles. Is the formatting on point? Is the writing quality up to par? Is it easy to scan and read? Is the title optimized for search engines AND social media? Are the affiliate links correct? Are there enough internal links? Can older posts link to newer posts? For posts that you update and consolidate, make sure to delete older comments that are no longer relevant. For not confusing the readers. Step #2: Consolidate the shorter, similar blogs into new blog posts. 1) Choose the most popular blog post of the consolidation grouping. 2) 301 redirect all of the other blog URLs of the consolidation group to the URL of the most popular blog. Step #3: Delete content from the “Remove” category. Simply delete the content you no longer see fit for your site! Now, the content audit isn’t an easy process. But if you put in the work and actually do it, you can see some great results with your traffic numbers. Therefore we highly recommend giving it a shot. In terms of how to get traffic to your website, social media is the next big key. You need to make sure you share your content the right way so that you get the highest increase in traffic. Social media posts appear differently on different platforms. You need to optimize your posts so that each can be eye-catching and shareable. 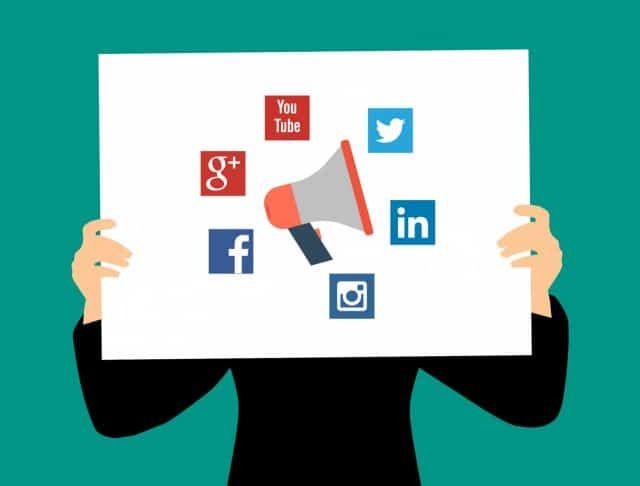 Do your research and learn how to optimize your posts for the other social media platforms as well. That way you can get a higher amount of shares, engagement, and traffic. How often are you sharing content on social media? That’s where a sharing schedule comes into play. This schedule helps to keep you organized so that you’re not over-sharing or under-sharing your content. Which social messages are sent immediately after publishing content? For which platforms? Which messages are sent the next day? Which messages are sent in a month? Two months? With a consistent schedule, you won’t have to scramble every time you post new content. You’ll know exactly which platforms to post on and when to post. If a post doesn’t pick up steam the first time you share it, don’t try to keep reposting it the same way. This is a spammy behavior and will turn your audience away if you keep doing it. Instead, aim for a good mix of social media content – share blog posts and videos, as well as content from other influencers, and also share other interesting and value-adding statuses. Sharing your content out the right way is important – an added bonus is if you can get your audience to share it straight from your website. To do that, you need some easy social sharing buttons. Facebook: Weekends between 12:00 – 1:00 p.m.; Wednesdays between 3:00 – 4:00 p.m.; Thursdays and Fridays between 1:00 – 4:00 p.m.
Twitter: Mondays through Fridays between 12:00 – 3:00 p.m.; Wednesdays between 5:00 – 6:00 p.m.
LinkedIn: Tuesdays, Wednesdays, and Thursdays at: 7:30 – 8:30 a.m., 12:00 p.m., and 5:00 – 6:00 p.m.; Tuesdays between 10:00 – 11:00 a.m.
Pinterest: Evening hours every day and 2:00 – 4:00 p.m.; Fridays at 5:00 p.m.; Saturdays from 8:00 – 11:00 p.m.
Have you ever read an article and then found a section of the article — a paragraph, a quote, or multimedia — that really resonated with you and that you felt had to be shared. Then you scrolled to the beginning of the article to find a share button or realized that there’s no share button at all? You can make sharing your content extremely easy by highlighting, or by making it easy to highlight and share, part of your content. Highlight important quotes or sentences in your article and use Click to Tweet to give people the option to tweet the highlighted section. Use the Cool Image Share, Share This Image, and WP Easy Social Hover plugins to automatically introduce a share button whenever readers hover on images or multimedia on your site. Use the Highlight and Share plugin to give people an option to share any part of your content they highlight on top social media sites. How many times do you share a particular piece of content on social media? Once? Twice? If you are not constantly resharing your content on social media, you are losing out on a lot of traffic and engagement. An analysis of over 100 million articles by Buzzsumo found out that constantly resharing old content on social media can boost engagement by up to 686%. Dominating with Quora is one of the best ways to become an authority in your industry and increase your website traffic. People ask questions. You post answers. And if you post good answers with relevant links back to your site, you can receive a big boost in traffic. 1) Open a Quora account. Go to Quora.com and create an account. 2) Create and optimize your bio. Your bio is what people see when they click your profile. Optimize it by adding a few sentences about yourself and your experience in your industry, as well as a link to your website. Emberton is one of Quora’s top writers, and he was able to use Quora to grow his blog to millions of readers in its first year. 3) Select relevant categories. Quora offers thousands of categories for you to choose from. Choose carefully, because your Quora feed will be filled with questions based on these categories. Aim to add at least 10-15 relevant categories. Use the first few lines to hook them in. Users can only see the first 3-4 lines in their feed, so you need to hook them from the beginning so they’ll click on your answer. Use correct grammar and formatting. If your answer isn’t scannable and easy to read, users probably won’t bother reading it. Use visuals. Most top answers on Quora tend to use visuals. The same rule on using visuals with your content applies on Quora. Used the first few lines to hook them in. Used correct grammar and formatting. At the time of writing this, his answer has almost 600,000 views! Used right, Quora can be a powerful traffic generator for your website. 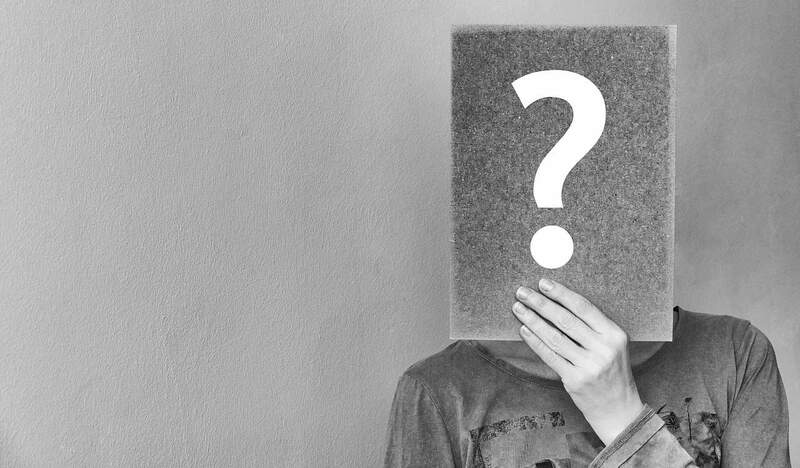 Unlike most social media, a viral Quora answer can generate steady traffic to your website for a year or more. Make sure not to overlook this platform! 11. Post and Promote on Reddit! Reddit is another powerful, yet underused social media platform that can increase website traffic. If you can find where your audience hangs out on Reddit, and deliver the right content, you can generate tens of thousands of visits literally overnight. How do you find your customers on Reddit and promote your content the right way? 1) Once you go to Reddit.com, use the search box in the top right corner of the screen. 2) Search for a relevant keyword and hit “enter”. 3) You’ll find a list of subreddits related to the keyword. Skim through each one and subscribe to those you think are a good match. 4) Repeat this process for the most relevant keywords related to your business. Got it? These will be your target subreddits. These are the places your audience hangs out on Reddit. Once you know your target subreddits, it’s time to start posting. 1) Answers questions and respond to comments in popular threads. This will build your reputation. 3) Always focus on adding value. Balance your links with good advice so you don’t appear spammy. 4) Mix it up. Don’t just submit links to Reddit. Switch it up and add text versions of your blog posts or advice and add a link to your post at the end. Your website and social media are optimized, but you still need to get your content in front of new audiences. One of the best ways to do that is to get your content republished on large publications. This is ideal because you won’t have to spend hours writing tons of guest posts every month – and you can also get the link juice from large publications with high rankings. This view was further echoed by a Search Quality Senior Strategist at Google, Andrey Lipattsev, who blankly stated that there is no duplicate content penalty. So, you’re in the clear here. Step #1: Find large publications in your industry that republish content. Large publications have huge content needs. If they allow republishing, and you have good, relevant content, you’ve got a good shot! With a simple search through their “contribute,” “write for us,” or “guest posting” page, you can see if they allow republished content. Find 5-10 large publications in your industry and start this process. What type of tone, style, and content is the publication looking for? Which of your content pieces matches with the tone, style, and content? If you don’t have any content that matches up exactly, you can tweak it to make it a better fit. Your pitch is the key. It’s best practice to submit an original piece of content first, so you get your foot in the door before pitching content from your site. You should always be networking and trying to connect with influencers. The more influencers and connections you have, the easier it will be to get published with the larger publications. With this strategy, you can get 3 to 4+ posts a month republished, without much extra work on your part. These can bring you a ton of traffic! Having your content syndicated with no link to your website/content = WRONG! Having your content syndicated with a link to the homepage or another page instead of the original content = WRONG! Having your content syndicated with a link to the original article on your website (preferably using the rel=canonical tag) = RIGHT! Whenever a publication wants to syndicate your content, ensure the syndicated content links to the original content on your website. Since authoritative publications tend to rank better than the average site, if an authoritative publication syndicates your content and does not link bank to the original content, Google might assume the authoritative publication owns the content and rank its version higher while yours is nowhere to be found. It’s nice to get your content republished, but you should still write 2 to 3 guest posts a month (or more, if possible). Guest posting helps improve your SEO rank, and it also introduces your content to new audiences. Now, when it comes to guest posting, the outreach email is very important. We have an outreach strategy that works well, and we recommend you try it out. 1) Introduce yourself and reference relevant social proof that establishes your authority in their niche — this could be awards, media features, relevant content publications, etc. 2) Explain that you’re reaching out because you’re interested in writing a guest post for them. 3) Include 2 or more relevant content ideas (or one really strong content idea) and a basic outline/summary of the idea. If possible, back up this idea with research. 4) Close it by letting them know that you are anticipating their response. 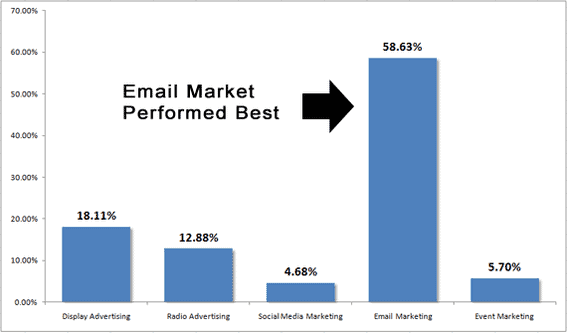 According to the Direct Marketing Association, for every $1 you spend on email marketing you can expect a ROI of $44. Another case study found that email traffic outperforms display advertising, radio advertising, social media marketing, and event marketing COMBINED when it comes to conversions. 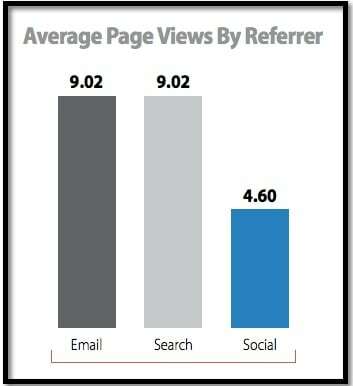 In other words, not only is email the king of quantity traffic but it can also drive some serious quality traffic. Tip #1: Offer a sign-up incentive to get people to join your email list. It is not enough to simply tell them to “join your newsletter” or “sign up.” Offer them something in exchange for their email address. Tip #3: Use content upgrades. Brian Dean is undoubtedly one of the smartest marketers alive. 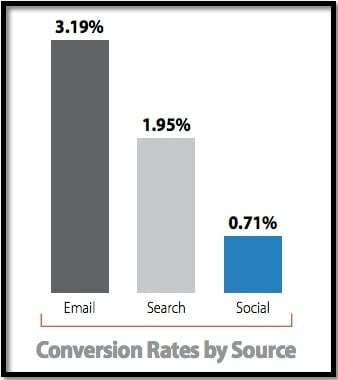 While that is a bold statement, very few marketers can boost their conversions by 785% in a single day. A content upgrade is an incentive designed to complement an article. It can be a resource (such as a worksheet, a spreadsheet, an app, or some other resource). It is integral to the article it is featured in, and as a result, people are more compelled to get it. In exchange they give you their email address. Tip #4: Use “Expanded Guest Posts” to drive extra subscribers. We already discussed guest blogging earlier in this article, even giving you a proven step-by-step process and a template that has helped us get published on some of the biggest blogs and publications in the world. We also just discussed the concept of content upgrades and how Brian was able to boost subscriptions by 785% simply by using content upgrades. Imagine the results you can get when you combine the power of content upgrades and guest posts. This results in what is called the “Expanded Guest Post,” a concept popularized by Bryan Harris who reports getting over 500 subscribers for every expanded guest post. An Expanded Guest Post is a guest post that contains a content upgrade aimed at getting people to join your email list. It can be very effective for boosting your email subscriptions. Tip #5: Run an email-boosting giveaway. When it comes to free traffic, nothing beats viral traffic. A great case study is Josh Earl. In order to boost his email subscriptions, Earl decided to run a giveaway. The giveaway lasted for 11 days. At the beginning of the giveaway, Earl had 5,500 email subscribers. By the time the giveaway ended, he had gotten 187,991 subscribers. By running a free giveaway, he was able to grow his email list by 3,418% in just 11 days. He incentivized people to spread the word about his giveaway. The more people shared and promoted the giveaway, the more points they earned to increase their chances of winning. He was active in promoting his giveaway. He didn’t just rely on his audience, but he took active steps towards promoting his giveaway. In terms of the technicality of setting up a giveaway (ensuring people’s effort towards promoting the giveaway and referring others is effectively tracked), Earl used the Kingsumo Giveaways app. We just finished discussing how to build an email list, but you only really get traffic when you get your email subscribers to read your blog and click your links. Many people only send an email to subscribers when they have something to say. This is a BIG mistake. And they are losing out on recurring traffic. Once you have an email list, the next step is to make sure you set up a follow up/autoresponder sequence with links to your blog posts, websites, and products. This way, new subscribers will keep being introduced to your content (and you’ll keep getting traffic as your email list grows) no matter when they join your newsletter. Practically every decent email service provider today comes with the ability to set up a follow up/autoresponder feature. You can also significantly boost your traffic by building a “push-notification list.” While many are familiar with the email list, very few people are familiar with the push-notification list. It can be powerfully effective, though. Regardless, push-notifications will generally result in more clicks than an email list. If you have your push-message delivered to 10,000 people and are able to get a 10% click-through rate, that’s 1,000 people. Now, imagine being able to automatically get that many people to read each of your articles as soon as they go live. Create an account with a push-notification service provider. 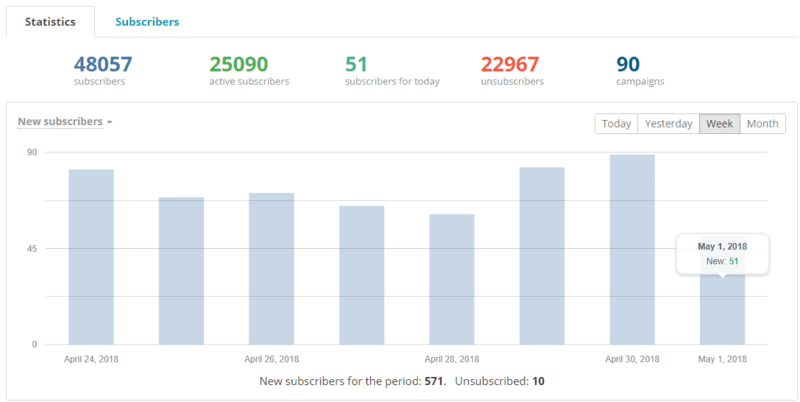 SendPulse will let you host unlimited push-subscribers for free. Offer a freebie in exchange for people allowing you to send them push-notifications (very few people do this, and it has been found to result in a boost in push-notifications subscribers). From your push-list, you can send them push-messages with a link to any site you want or configure your blog feed so that new posts are automatically sent to push-subscribers. Statistics generally agree that the more content you create, the more results you can expect from your content marketing efforts. In other words, when it comes to the content marketing game, quality isn’t enough. You need quantity, too. In psychology, there’s a principle called the mere-exposure effect, or the familiarity principle. In essence, it means: the more people see your offer/message, the more they are likely to take notice and respond to it. Imagine how much more traffic you can get if you can take a single piece of content and turn it into 5, 10, or more pieces of content. Copyblogger took a single blog post, turned it into a slide presentation, and uploaded it to Slideshare. It resulted in over 38,000 views. Ben Hardy repurposed and reposted his blog posts on Medium. He then added a call-to-action to his Medium articles. Some of these articles went viral, helping him grow his blog to 20,000 subscribers in 6 months. Internet Business Mastery decided to start turning their blog posts into audio content and uploading them to podcast sites. These audio posts resulted in up to 100% more downloads than their podcasts. While these examples demonstrate the power of repurposing content, the big question is: How do you repurpose your content? Extract tweets and Facebook status posts to be shared regularly from blog posts. Turn your blog posts into audio form and upload them as a podcast. Make minor edits to your blog posts and post them on sites like LinkedIn and Medium that syndicate content. Repurposed content won’t be successful on its own. Instead, its success hinges on distribution. That’s it! That’s all it takes to get more traffic. You no longer have to wonder about how to increase website traffic. If you take action and use this proven system, you will get more traffic to your website – and that traffic will stick around for the long haul. Are you interested in getting your visitors back to your website? Build an email list! Here are a couple of well-known email marketing software that I recommend using. You now have all the action steps. Start putting this system to work and take your website to the next level! Do you have questions, ideas? What system works for you? Leave a comment below and let’s discuss! A majority of these techniques are definitely my go to strategies to get clients the best results. In recent months, I’ve put a huge focus on CTRO – the results I’ve seen from some of my tests have been insane! It’s also given me first hand experience of watching RankBrain take effect in the SERPs once the CTR has shot up. Awesome work again, your guides are definitely industry leading! Glad you enjoyed it 🙂 I personally don’t use emojis in meta titles, but it shouldn’t penalize you in any way either, could even help your title to stand out in certain cases. Thank you so much. It is very informative and deeply researched article. I must say it is one of the best articles I have read so far. How much a website’s look and feel play role for visitors to come back? Having a website that looks approachable and easy to navigate is super important to keep your visitors coming back so it’s definitely worth it to pay attention to the design of your site. Also, responsiveness is key – in this day and age you want your website to look good on any screen size due to the amount of mobile devices out there. Hi it was a very helpful post but you have not explained about the website indexing. We cannot ignore the importance of indexing of website and backlinks indexing. What do you say…? Hi, sure indexing is important for new websites since it helps them get listed on search engines, though if your site has already been out for at least a few weeks then it will likely already be automatically indexed by web crawlers. Ok, i am for sure a lazy reader. But this one I was reading from the top to the bottom. I usually look for some information I am interested into or update myself on new opinion but here fits all together and it is massive information in totality. If you can please tell me which is the best tool to use for adding Floating Share buttons to use on my website in blogger. I tried some but they cause my website to load very slow. Awesome Post Robert, I plan on using Reddit and Quora quite a bit more. Man, you have no idea how much your article helped me. Thank a lot! Great content, Robert! Humongous effort for the beginners will get reduced while getting started through your thorough article! Thanks! I just came across this and as someone who is beginning my own site this is very helpful! Thank you for this Robert. Even though I have tested and am still testing some of these strategies, I think you’ve captured it here in the way that I’m thinking to myself aloud: ‘Hey guy, you’ve got to begin to tap into these great tactics the Robert way if you want to get great results’ I’ll go with reddit, to start with. Thanks, Robert. What a detailed and fantastic article you’ve got here. Thanks Robert… Very informative post. I will surely try to implement these on my website. Keep on writing and share your knowledge for the beginners. I am working on my website to increase its traffic, but not getting any traffic from Reddit.com. How can I get more traffic through Reddit? Hello Robert, your concept is unique and fresh. It give me a great help in my work. I learn something different here! Wow, that’s a lot to digest. I guess you would have to start where you think would help the most. For me it would be to look at my posts and delete, rewrite or combine then post to social including reddit. Thanks for all the info. Awesome points! I’ve always liked using Reddit for traffic but you have to be careful not to appear spammy or it can look bad on your brand. This is one of the best and informative blogs I’ve come across on the internet. I was very impressed with the format and your easy to read content. Getting traffic to your website is the hardest thing to do in this business and I know it first hand. I had no idea of the most if not all of the suggestions you gave to get photos for free and forums to submit my information. Once again I can not thank you enough for your information. I am starting on all your suggestions today and is looking forward to receiving more traffic off of your recommendations. Hey, Robert. Worth to read article. Liked all of your points but out of all I liked the point about content marketing. Content marketing is ruling the world of marketing. The concept is very simple, write worthy content and spread it over social media to get more attention and traffic. I’d avoid free traffic generators like plague. I wouldn’t use meta tags either. Just title and meta description is enough. Great post! I’m reading it to improve my blog traffic. Thanks for having written it! 2) For tech-related websites, there’s also Hacker News. 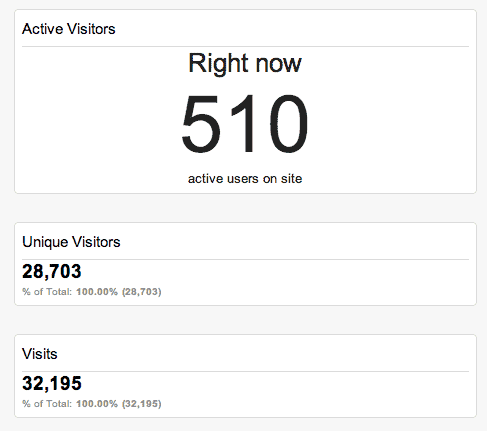 With my startup I managed to get something like 600 views in a day thanks to HackerNews! I would like to put links on all my websites, indicating all the others, using nofollow would be enough to be safe? or do you indicate noindex as well? You “sell links”, then it’s wise to add them as “nofollow (unless they are relevant and you haven’t got paid for them). Thanks for sharing the steps to increase the traffic, frankly speaking I have tried almost everything that you have mentioned here. But, I think I need to focus on Quora as well. Nice guidelines. 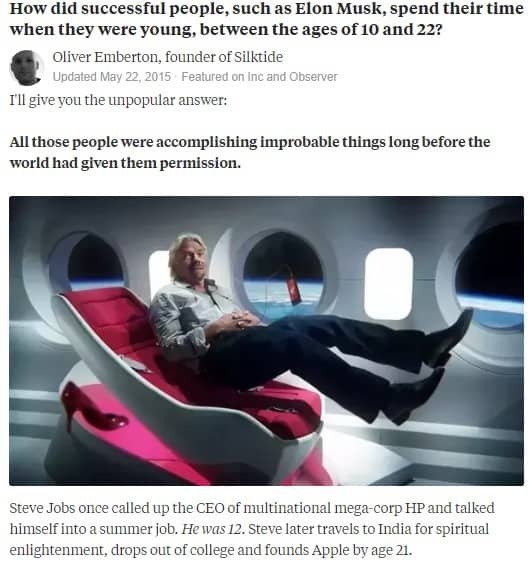 Never thought that Quora can help. Will try using it. Thank you for this remarkable guide, Robert. The most struggling part is to get traffic (which is targeted) to the website. Hopefully, I’ll implement few of your tips. Good job – thanks! How can I increase traffic to my blog that explains about Artificial Intelligence? Really great post and all the info mentioned above can be used in getting the results. Thanks a lot and keep posting in future too. We seem to really stay hovered around the 15k uniques per day over 1 year yet we have created over 73,000 pages of q&a content. Any suggestions? Hard to give any suggestions without seeing the site first. What’s the URL :)? Super actionable tips! Love it. If I had to choose only one promotion tactic I would go for influencer outreach strategy. At least from my experience it was the most effective one. Great article it took step by step through the process. Quora great help started using it before I finished the article. Got a lot information on jewelry which I sell on Facebook. Thanks. Thank you very much Robert. Its really easy to understand language you have used here. Lot of information for the beginners. This will help me a lot to increase the traffic on my website. How I can increase traffic to my site that sells handmade semiprecious jewelry? I’d start off with producing awesome content, such as “How to make your own semiprecious jewellery”. This would attract readers into buyers. In order to “get”, you need to “give”. That’s my philosophy :). Wow, that was so helpful. Thank you so much. You’ve really worked hard to get this article out. I’ve learned a few tricks from here. Hi Robert, this was a great post with a number of immediate actionable tasks. I look forward to trying some of these techniques out to see how my web traffic will perform. Keep up the great work. You have done amazing job! Finding the right topic and compelling content does almost 50% of work, rest it promote to that article. Buzzsumo is amazing tool which we can use for various purpose for content marketing and blogging. Hi Rob, awesome post I must say. So full of info and the best part, they’re all actionable.